A kickboxing class so fun - and different from everything else you've tried, you won't be able to wait to come back because you will have a blast working out! And, you'll get AMAZING results! NOTHING motivates you faster than results you can SEE and FEEL! My award winning boxing and kickboxing classes are rated as one of the top calorie burners! You'll tone and firm your entire body and build strength and stamina at the same time. They deliver a powerful punch to your fitness goals by combining fun, boxing and kickboxing drills with world-class motivation, the best fitness conditioning, accountability and the motivation you need to give you the fitness results you deserve. Fast-paced punching and kicking combinations require extreme focus. They will get your mind off the negative thoughts that tend to build up throughout the day. When you deliver hard hitting combinations on the heavy bag, you'll be removed from life's distractions. You will relieve the stress that's been weighing you down. You will be challenged beyond your perceived limitations. One of the biggest problems with most fitness programs and group fitness classes is exercise boredom. You won’t get bored and won't want to quit with my exciting and empowering blend of ever-changing boxing and kickboxing routines! I'll personally keep you motivated by keeping you challenged with plenty of variety in your fitness program. It's much more difficult to skip your workout when you know you'll have an absolute blast working out and when you see and feel results fast. My classes are more than just a workout. You'll receive professional coaching,nutrition guidance and all of the accountability you need to reach your fitness goals. I'll personally track and monitor your success every step of the way. It's like personal training at a fraction of the cost! Learn real hard-hitting boxing and kickboxing combinations so you can defend yourself in any situation. Increase your confidence and self-esteem so you can be a top performer in every situation you face with confidence. Look and feel better than you have in years. You’ll have more energy, decrease stress and feel better about how you look. You’ll fit into your favorite “skinny” clothes again. Lose stubborn belly fat and get a stronger, more defined core. 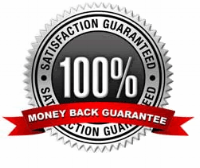 I'm so confident my award winning kickboxing program will work for you, that I'm providing a 100% money back guarantee. I personally guarantee if you don't see results from my kickboxing program, I will refund every penny. That's right - if my program isn't life-changing and doesn't deliver everything I say and more...If it doesn't save you time, money and frustration. If it doesn't work for you and get you results, I will refund the entire cost of your program. Does Your Health Club or Fitness Center GUARANTEE Your Success? There are tons of fitness programs in Colorado Springs and you may have wasted plenty of your time, money and energy on them. Maybe you've joined a gym or fitness center and never really go because you can't seem to find the motivation and desire to go workout or haven't seen the fitness results you wanted. There are a several good kickboxing classes, fitness centers and personal trainers in Colorado Springs who promise to get great results. A kickboxing gym or trainer should be able to do more than talk about how good they are and the great results they claim they can get you. They should be able to show you REAL, local success stories and PROVE that they can deliver the results you're looking for. After all, results are what really count, right? If a kickboxing program or boot camp fitness program can't provide this kind of concrete proof, then be careful! I know of no other kickboxing program or personal trainer in Colorado Springs that has more life-changing success stories and client testimonials. What you're about to discover, just like the hundreds of clients that I have trained and coached over the last 23 years is that my boxing, kickboxing and fitness programs are among the very best. "I Have So Much More Confidence!" "All throughout High School I always played sports but never really ate right or worked out hard. I went off to college and right away I gained the "freshman 15" and maybe a little more. It wasn’t until I moved home that I decided I wanted a change in my life. I wanted to look good and just be healthier. I wanted something more…more than just a regular workout at the gym. I went online and found Joe's Kickboxing program. I started in February and in March I went on a spring break trip to Lake Havasu. I took tons of pictures and posted them on Facebook. It wasn’t until I got back and saw the numerous amounts of compliments and asking how I got this body. My friends asked me, "What's your secret?" I saw results FAST! My jeans were not fitting anymore, my arms were becoming more toned, and I just had more energy throughout the day. the next month, I saw more and more and more of my body transforming. I went from a size 7 to a size 2 in a matter of months. I give all credit to Joe and his amazing workout plans and his motivation to push me harder. I lost over 6 inches and went from 28% to 19% body fat and for the first time ever I have abs!!! I feel and look better than I have ever felt in my entire life and I have so much more confidence when I wear bikinis or dresses. This was by far the best decision I have ever made because I know this is just the beginning to a healthy new life. Joe is the best personal trainer and from being in his classes you too can see REAL results fast and having tons of fun all at the same time. "I'm SO Much Happier With My Body!" "When I was admitted to the hospital to give birth to my twin girls, I weighed over 210lbs; I lost 35lbs immediately from the babies but struggled to lose the rest of my stubborn “baby” weight. I started trying to eat better and exercise but hit a plateau a few months into my efforts. I knew I had to do something different! 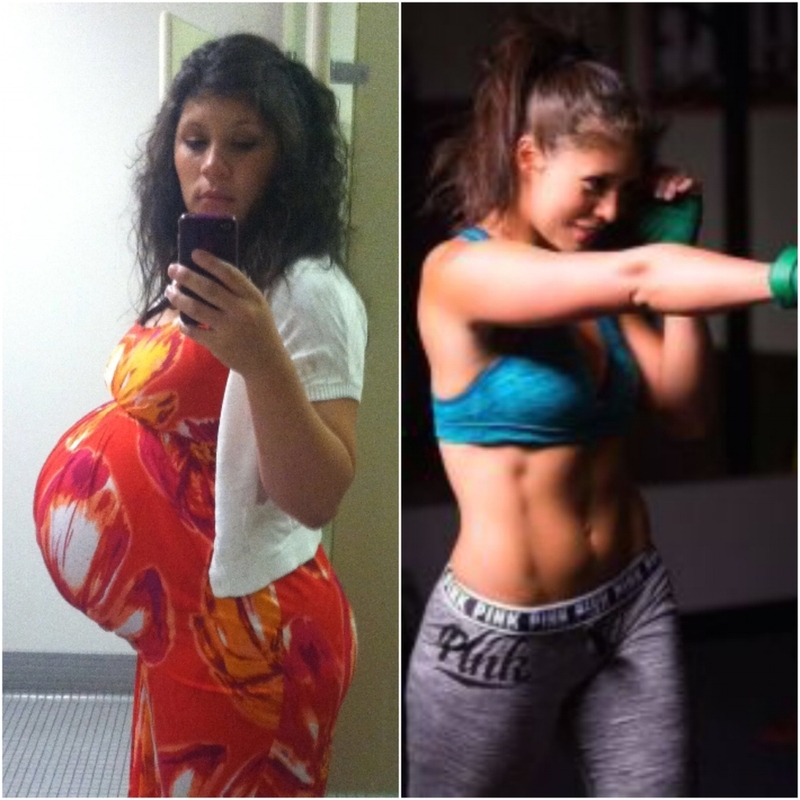 I had attended Joe’s classes prior to my pregnancy and knew that this is what I needed to get my body back! I'm SO much happier with my body! I’ve lost over 4 inches in my waist and about 5 inches in my hips and thighs. I’m a naturally self-conscious person, but my results have helped me to be more confident about myself as well as my body. My husband is very pleased with my body and I am as well! I can finally wear a bikini again! Getting that “me” time not only helps me decompress from everyday stressors, but also aids in maintaining a positive and happy outlook! I’m not sure about all of the other mamas out there, but I need to do whatever I can to maintain my sanity. The happiness I get from the release of working out and pushing myself feels great! It really is a necessary part of my week!! "I'm Proud of My Body Again!" "I had gained 98 pounds of baby weight during my pregnancy. I felt tired, unmotivated and hungry all the time. I had tried dieting and even exercising to lose the weight I had gained. It didn't work...I'd lose a little, then gain it back. I'd go to the gym, but get bored doing the same thing over and over and not get results. My weight was taking its toll on me and I knew I had to do something about it. I did some research on Google and discovered Joe Ramirez...I have lost over 10% body fat, 31 1/2 inches and have gone from a size 14 to a size 6. I have more energy to play with my kids. I feel like I can accomplish more and I'm proud of my body again! "My Stomach is So Flat and Defined"
I'm in my 30's, and really needed to kick my workouts up a few notches. I had gotten bored with what I was doing and had reached an insurmountable (or, so it seemed) plateau. Let me be clear, I wasn't in horrible shape to begin with, but had recently gone on about a 4 month binge of everything super decadent and was not working out nearly enough to keep up with it. More importantly, I had recently had a pretty bad back injury that left me with chronic pain and extremely expensive chiropractic bills (which was really just a temporary fix). Most core-related exercises hurt and intimidated me at that point and made me fearful of even trying anything new. In the first month of training with Joe, I lost almost 6 pounds of fat and 4% body fat! The definition in my abs was AMAZING and that was only the beginning! I was finally getting them back and even better, my back was no longer causing me any problems. I mean none at all. That's all thanks to Joe and his focus on strengthening my core, which I was previously terrified to even try. Needless to say, my chiropractor hasn't seem me since. Looking back, I can see such a huge improvement both physically and emotionally. My stomach is so flat and defined, my clothes fit amazing, and the confidence I feel once again is priceless! We've all been in the dressing room and not loving what we see (or even being too scared to go in there in the first place). Not anymore! This is now my new "normal", but I love having reminders in the form of the responses I get from my friends and family. I even get asked to show people my stomach and their reactions crack me up! Thanks Coach, love having you in my corner!!!!" "Throughout my whole life I was really never active, I didn’t eat healthy and I was very lazy. I didn’t have the motivation or the drive to do anything or at the gym because I never saw results and it wasn’t fun. I had zero confidence in myself. I needed something that would really push me and make me work. One day I made a decision that it was time for me to start taking care of my body. I wanted something different and more challenging and I wanted something that would help me get the confidence and the body that I have been dreaming about. I went on the internet and found Joe’s Kickboxing. When I started working out with Joe he pushed me with enthusiasm and was very positive! Kickboxing is such a great workout! The workouts were challenging and fun! It relieves my stress, and I have so much more energy throughout the day! I saw results in my body and I saw them fast! My arms have become more defined and toned and my legs and core have become so much stronger and tighter! I have never seen my body look this good before. Now when I look at my body I feel amazing. I am confident and I know I look good! I am so much healthier in the way I eat and in the way I live. Kickboxing has been the best decision I have ever made. It not only helped me in my physical appearance but also mentally as well. I never liked wearing shorts or bathing suits before and now I wish I could wear them all the time! I love my new body and I love the kickboxing program. This program has helped me in so many ways. If anyone felt the way I did before I started and wanted something new and different, kickboxing is definitely a rewarding experience. Joe is the best trainer in town; with his help you can reach your goals just like I did mine. "I'm in better shape than before I had my kids!" "I was a 43-year old mother of 3. I was soft, tired, and felt...dumpy. I was running and lifting on my own, but was not seeing any changes in my body or my energy level. I was getting bored with my cardio and lifting routines. I was getting nowhere in my workouts and needed a boost. It was time to make myself a higher priority in my life. After a boxing workout, I feel great – exhausted, energized and relaxed all at once! I have never felt so ready to face the stresses of the day. The boxing routines are a blast!" My kickboxing program is exclusive. It is not a franchise or licensed program and you will not find it available anywhere else in Colorado Springs. You will be challenged in a semi-private, positive and supportive environment. There is no judgment. Only an environment where you can compete against yourself and defy your limitations. The workouts will be challenging, fun, even hard at times - but never impossible...and you’ll always have the professional guidance, motivation and accountability from me and the support from the others in the group. In order to make this happen, there are only a certain number of members that I will allow in my program. To continue to provide you with life-changing, jaw-dropping results - which is my trademark, there are only so many I can take on in each class. In fact, even some who are referred by an existing client may be turned down due to the demand and limited nature of my exclusive, award winning classes. I think it's only fair to tell you - because there is an extremely high demand for my boxing and kickboxing classes - my prices are about to go up soon! If you're not currently a member, I would get 'locked' in NOW because the longer you wait the more expensive it will be. The reason I'm going to be raising my rates soon is simple: The demand for my exclusive boxing and kickboxing classes has grown so high that I'm about to max out in my classes. It's simply a case of supply and demand! To continue to provide the high quality boxing workouts and give you the results you deserve, which is my trademark, there are only so many clients my team and I can handle in each class. Bottom Line...The sooner you call us the lower your cost will be! What's the first step? Just give me a call at 719-229-2639. I'll spend a few minutes on the phone with you to see if my boxing or kickboxing fitness program is a good fit for you. I'll never try and talk you into anything; I'm only interested in seeing my fitness program is a good fit for your fitness or weight loss goals. How do I know that you’ll be surrounded with other super motivated and dedicated boxing and kickboxing students? Very simple – I don’t take on just anyone as a client. Let me explain. I only work with those who are serious about their fitness results. are tired of the same boring fitness program and are ready to leave their old body behind. The fact that you have taken the time to come to this website and have made it this far on this webpage tells me that you are a good candidate for my boxing or kickboxing program. You see, very few people will take the time to read this far unless they were serious about their fitness goals. As I mentioned earlier, this is an exclusive and limited Boxing Program. It is not available anywhere else. My program is unique. It is NOT your typical pre-choreographed cardio kickboxing program at the fitness center where everybody is doing the same boring cookie-cutter workout.Your boxing or kickboxing program is unique to your fitness level, limitations and fitness goals. You will be challenged in a semi-private environment with personal attention and get the results you deserve...guaranteed. There are only a limited number of openings available per class to ensure unparalleled dedication to serve you and get you the fitness results you deserve. So, I must be selective and cannot accept every single person who applies; even some who are referred by an existing student or clients may be turned down due to the demand and limited nature of this exclusive, award-winning boxing and kickboxing fitness program. So, if you're serious about getting ing the best shape of your life and finally ready to leave your old body behind, transform your fitness level and change your life, then here's exactly what you need to do. Complete the form below to sign-up or to register for your trial sessions while openings last! Zero Enrollment Fees through December 31st!